David Le/Gloucester Daily Times. 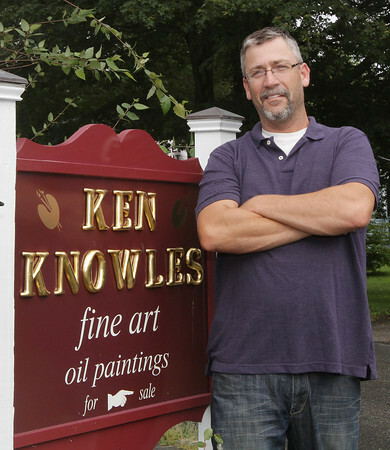 Ken Knowles, a local artist from Rockport stands outside his studio. Knowles will have a reception for his new show at the North Shore Arts Association on August 26th. 8/17/11.